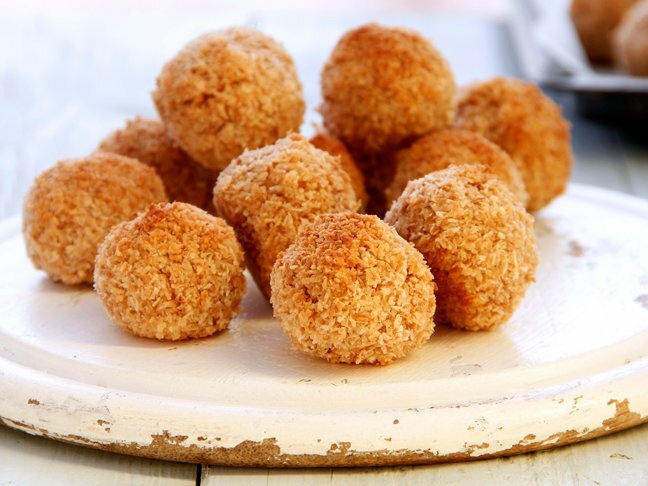 Looking for new ways to make gift-giving special? Whether your wrapping up a present for Mother's Day, Christmas, a birthday, or any other reason, you want to pay attention to the details so your gift-recipient knows how special she is. 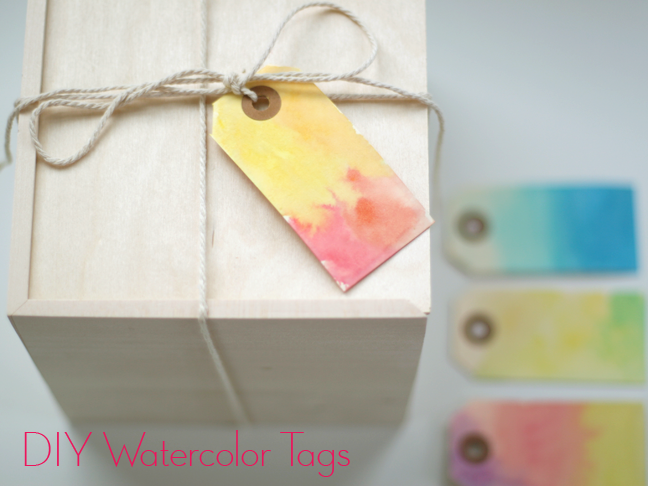 The gorgeous DIY Waterclor Gift Tags add the perfect touch, Learn how to make them. Step 1: I always rinse out my watercolors before getting starting on a new project. 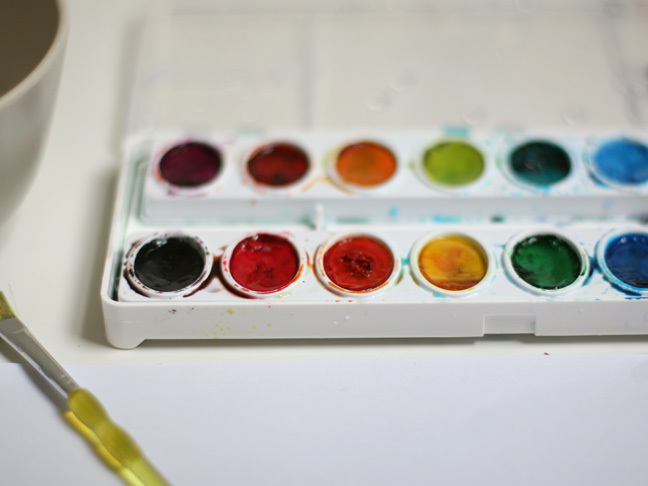 My four year old love to mix up the colors, so if little fingers have been messing with your watercolors, you may want to do the same. 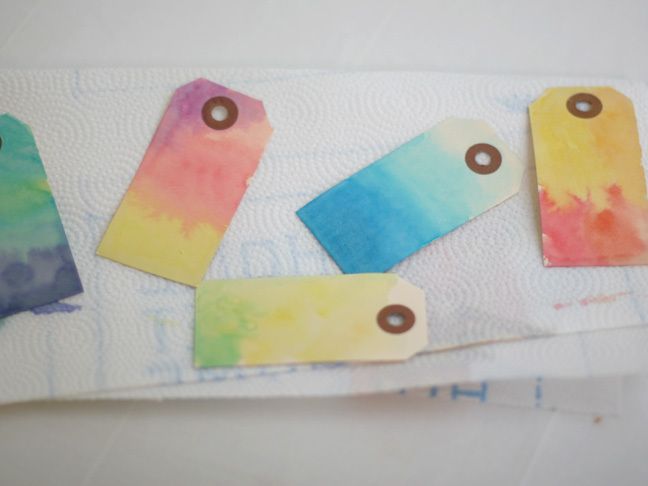 Step 2: Dampen the paper tags with water before adding color; this will make the colors lighter and less intense. 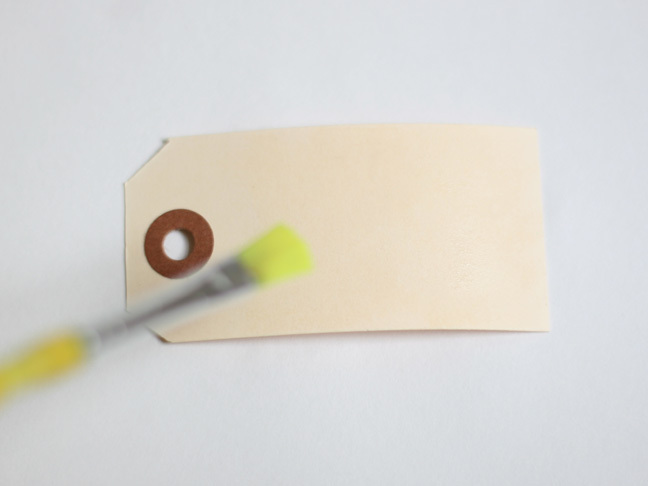 Do this by dipping your brush in water and swirling it onto the tags. 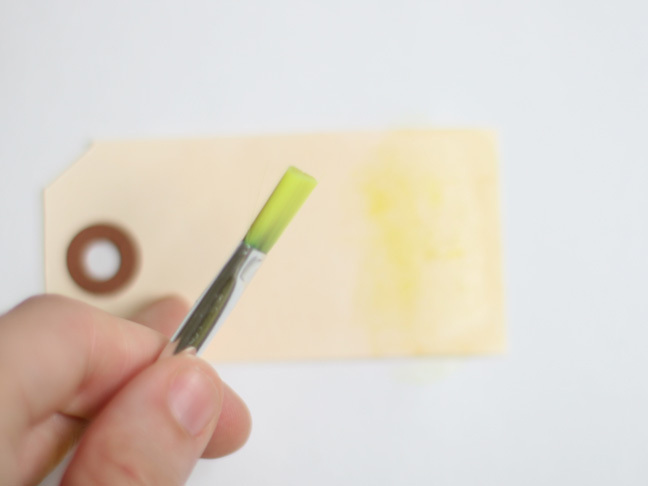 Step 4:Try making gradients of colors that gradually blend together. 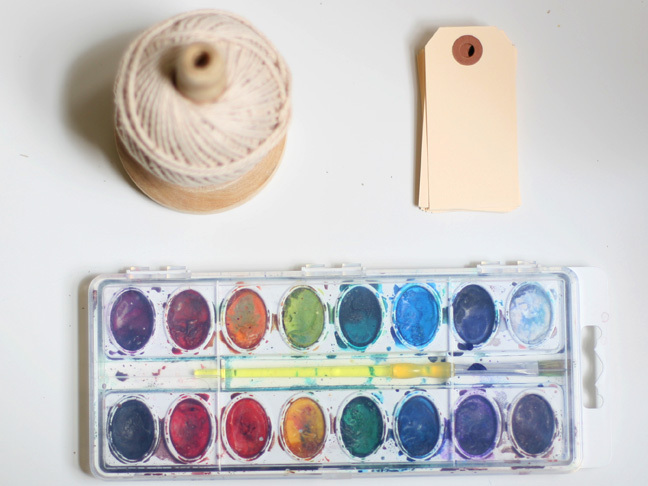 Do this by painting one color at a time and then adding water throughout so the colors bleed into each other. 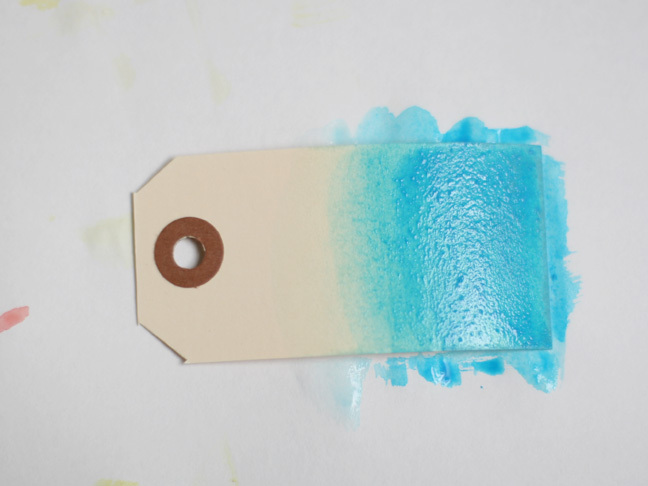 Step 5: Make another gift tag in one color that fades, making the color vibrant and saturated at one end of the tag, slowly fading and becoming lighter toward the other end of the tag. This effect comes from adding a high concentration of color at one end, and then painting on stripes of water (without additional color) making the color fade. 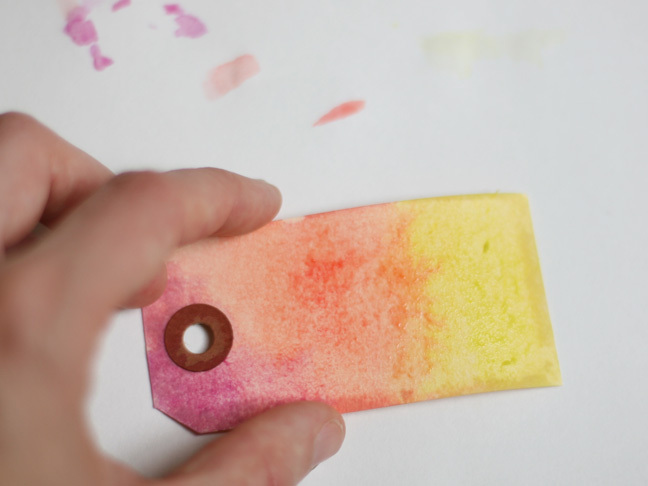 Step 6: Make another tag with splashes of color. 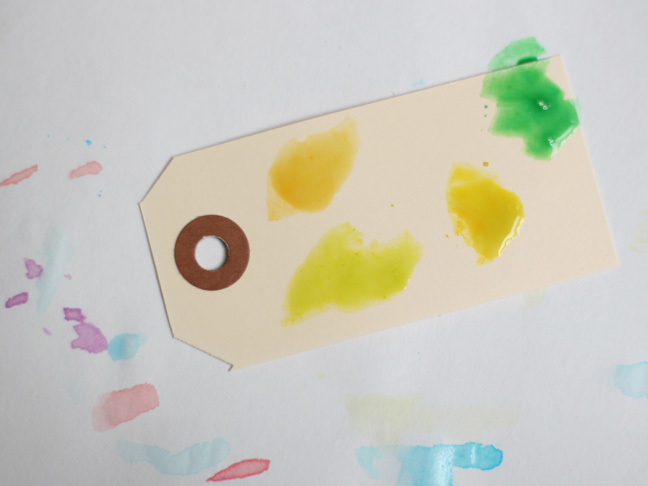 Do this by dropping dots of color; wait for the color to dry partially and then adding water all over the tag.